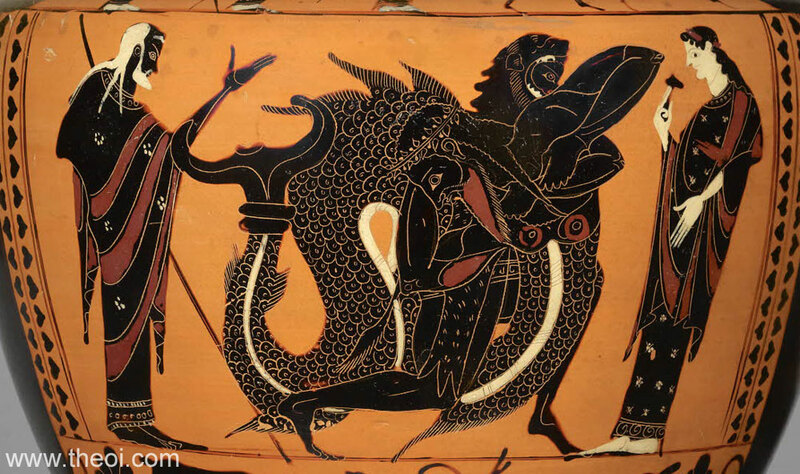 Heracles wrestles the fish-tailed god Triton in the presence of Nereus, the old man of the sea, and Amphitrite. The hero grasps the god about the waist standing astride his serpentine tail. A similar vase from the same period identifies the figures in this scene (see image P10.1).